For day visitors, the most conveniently located longhouse is Rumah Bundong (formerly Rumah Seligi – longhouses are named after the current headman or tuai rumah), a traditional wooden longhouse 10 km from town. 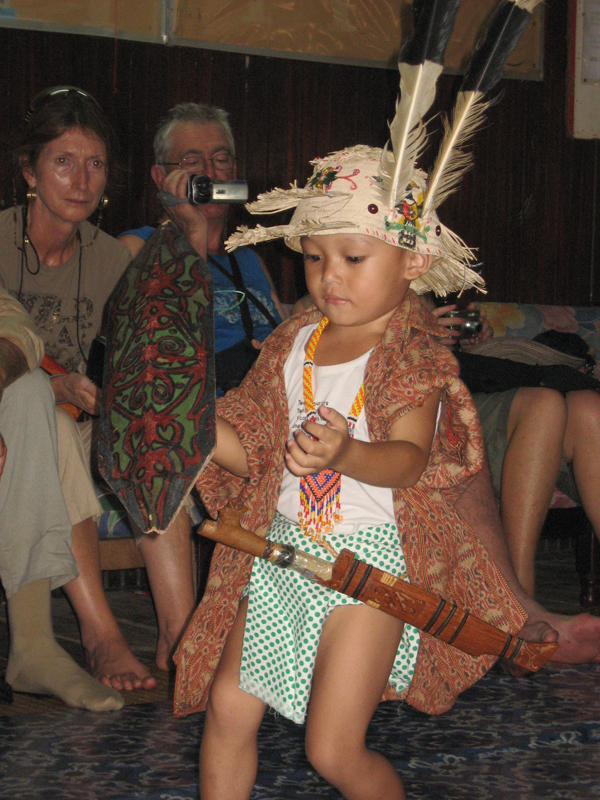 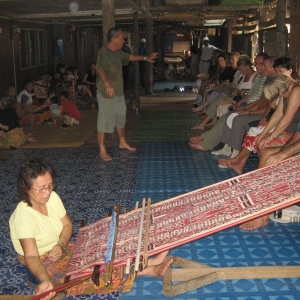 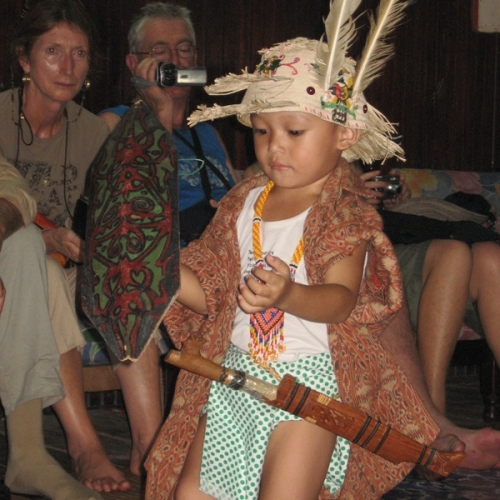 Visitors are also welcome to stay overnight with local families, and the longhouse is well known for its tattoo artists. 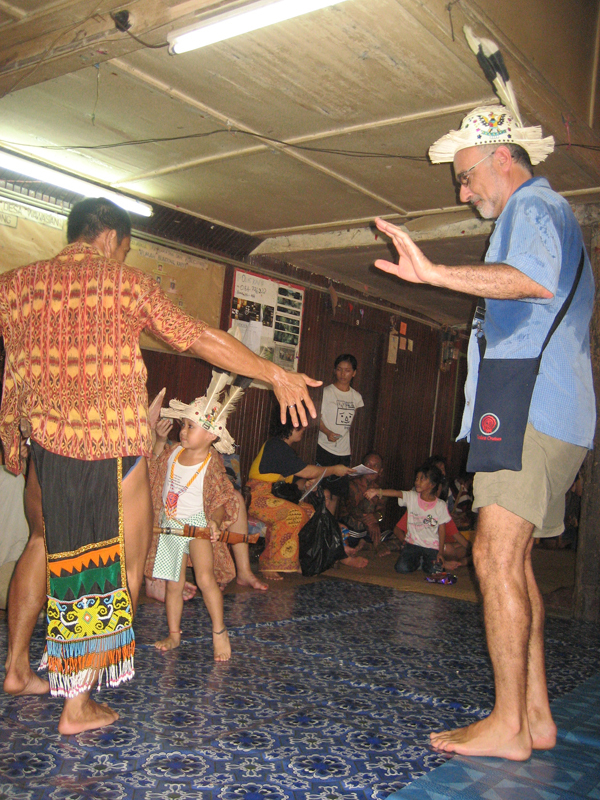 Vans leave half hourly from Jln Airport, no introduction is required. 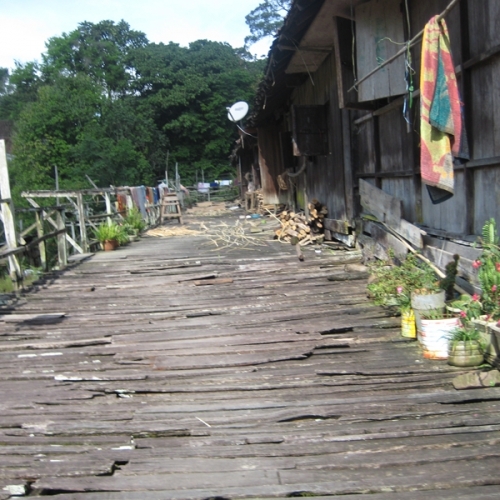 Further afield, there are longhouses on the main Rejang River, as well as the Baleh and the Mujong and their tributaries. 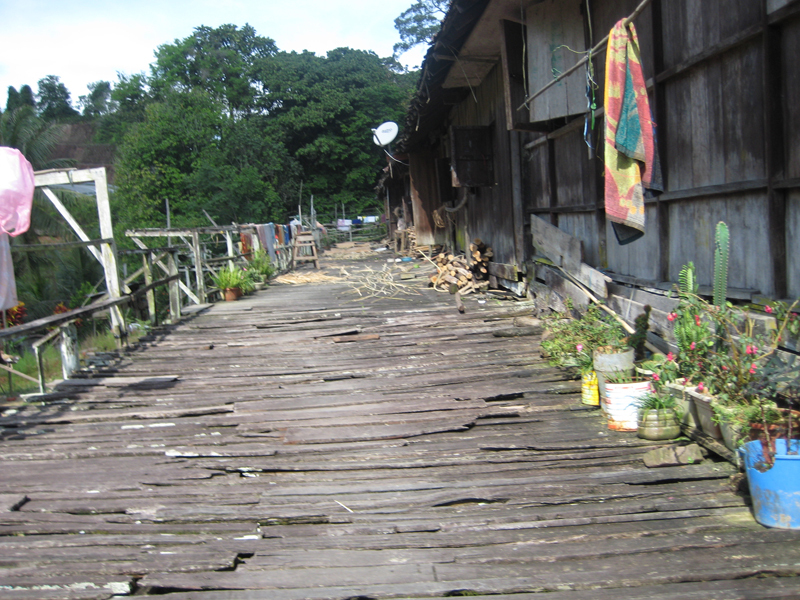 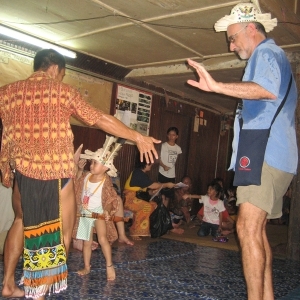 A homestay programme at Rumah Lulut on the Sungai Tisa involves both traditional and modern longhouses. Rumah Garie on the Sungai Kain is famous for its ‘pua kumbu’, traditional Iban woven textiles, and has even been accredited with the Japanese’G-mark’ for good design. 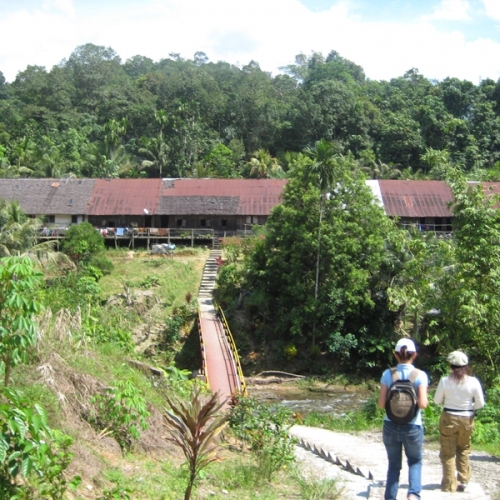 Rumah George involves a boat ride through the notorious Pelagus Rapids, or can be visited as a day trip by guests of the nearby the Regency Pelagus Resort. 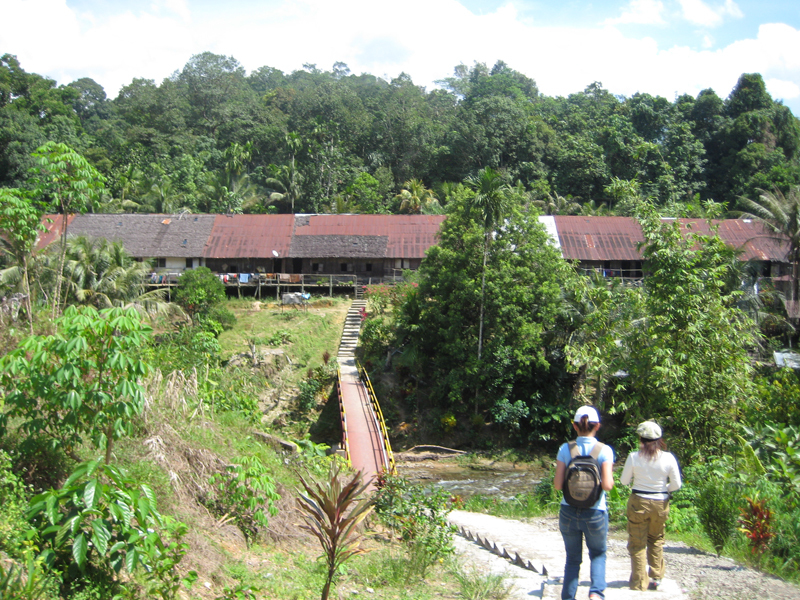 Rumah Penghulu Jampi on the Baleh is the birthplace of the legendary Iban warrior turned statesman Temenggong Koh. 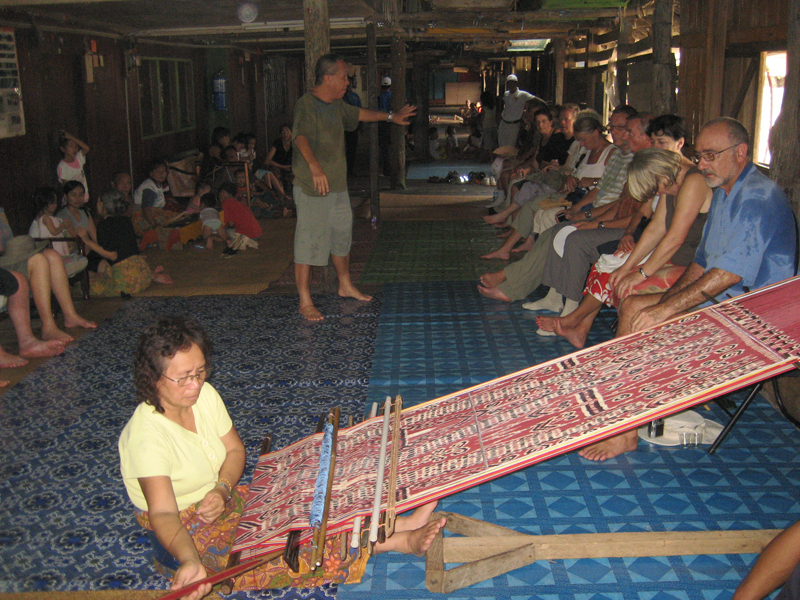 Rumah Bangkong on the Mujong is a very traditional longhouse that is just starting to attract visitors.